At Cost of Solar, we’re always talking about the advantages and benefits of solar energy and trying to share solar news that can help boost the exposure and speed the adoption of residential solar, both because we see solar power as the future of sustainable energy, and because we acknowledge that investing in solar can help home and business owners reap financial dividends as well. 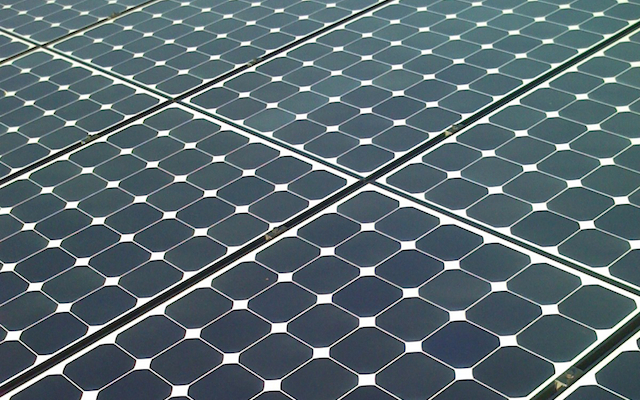 As a quick refresher, the main advantages of solar energy are that solar photovoltaic (PV) arrays can generate clean energy locally without any pollution or big water inputs, can continue to do so for decades after installation, can help strengthen the local grid, and can produce electricity during the peak load periods (in the daytime) at a cost comparable to (or less than) that from the grid in most places. And when you add on the available solar incentives from both federal and state agencies, and consider that many cities, counties, and states around the country are looking to solar to decrease their carbon footprint (with some municipalities collaborating with other organizations to make solar financing easier and cheaper), solar energy starts to seem more and more like a no-brainer, just from the financial angle, let alone the environmental angle. In the interest of fairness and objectivity, and knowing that just as many people are searching the internet each month to find out about the “disadvantages of solar energy” as there are searching for the advantages of solar energy, we also like to present some of the solar disadvantages. We’ve covered it before, debunking some of the myths about the disadvantages of solar with infographics, as well as writing point by point rebuttals to some of the most common myths, but because many of these points are used by people to dismiss solar power as a non-starter, it never hurts to keep talking about it, so here we go again with a list of a few of the disadvantages of solar. Solar panels, while steadily becoming more efficient through innovations in both the materials and design of the solar cells, are still only about 21.5% efficient (for widely available commercial solar modules), meaning they can only convert about a fifth of the sun’s energy hitting it into electricity. However, to put that figure into a context we can relate to, modern car engines fueled by gasoline are only about 25-30% efficient in powering their vehicles, and in contrast with solar panels, the rest of the energy consumed in gas engines (some 70-75% of the total used) is simply released as heat. With solar panels, however, any solar energy not harvested by the photovoltaics isn’t destroyed or wasted, and doesn’t impact any other activities on Earth (as opposed to the emissions and heat released every day from fossil-fueled cars and trucks). 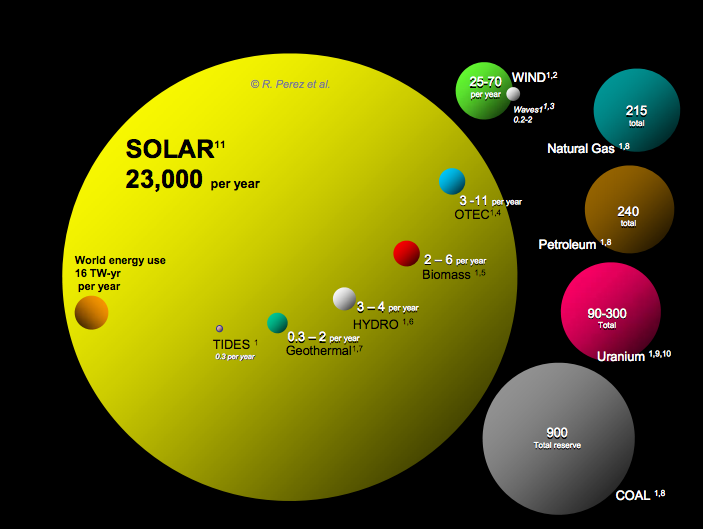 In addition to the limitations of solar panel efficiency (which aren’t truly a disadvantage, as they’re already efficient enough to compete with grid costs), another disadvantage of solar energy is that while our sun pumps out prodigious amounts of energy every single day, we are only currently using a tiny fraction of it for our own energy needs, and because we haven’t installed enough solar arrays yet, it’s virtually impossible for us to harvest a large percentage of the sun’s energy. That sounds silly, but the only reason fossil-fueled vehicles are so much more widely available now, even as inefficient as they are in energy conversion, is that an entire infrastructure has been built out to supply petroleum and support the engines that burn it. When the solar infrastructure grows to a critical mass, as automobiles did, solar energy will seem like such a no-brainer that we’ll wonder why it took us so long to scale it up. Because most home solar arrays are connected to the grid, for good reason (and to the benefit of the homeowners, who can “sell” their excess solar electricity to the local utility), and because batteries for storing electricity remain expensive, most of those homes aren’t able to store the energy from their own solar panels. When the sun is shining and you turn on your washing machine, you can use your own solar energy, but if you’re not there to use the electricity from your panels, it goes to the grid, not into a home battery bank for use when you’re home. Battery technology is rapidly advancing, but affordable large-scale storage for solar energy at home hasn’t quite been developed yet, and this storage limitation could be construed as a disadvantage of solar. However, with the recent revolution in electric vehicles (and with the maturing demand for mobile devices), battery technology being developed today could be powering houses in the near future. And even if these home energy storage devices were only capable of storing a few hours’ worth of electricity for an average home, they could help act as an additional buffer for costs during peak power periods, while increasing the amount of solar used directly at the home. Adding to the previous point about the disadvantage of solar energy due to lack of viable storage options, it’s important to remember that grid-tied solar homes are as vulnerable to power outages as a conventional home, simply because most of them have no battery storage or the capability to tap into the solar array directly. When the grid goes down, so does a grid-tied solar system, not because the solar panels quit working, but because that’s how the system is designed, as sending solar power onto the local grid when it’s down can be hazardous to other components of the electrical system (as well as to utility workers). This doesn’t mean that solar is worthless, as first of all, power outages are rare in most developed countries, and second, regardless of whether or not we have home solar, we ought to be prepared with emergency power options, mostly in the form of batteries and battery-powered devices, but also perhaps in the form of a portable generator for large power loads during grid outages. One argument against going solar is that putting in a home solar PV system can be “too expensive.” This has been, and may continue to be, a disadvantage of solar energy for some people, but it helps to consider not only the long-term cost of solar, but also the relative cost of solar. It turns out that residential solar is a good investment, even beating out standard stock investments, so we know that the ROI of solar is healthy, and because after the payback period of home solar, the system will continue to generate clean electricity for decades, with no additional costs or inputs. And let’s face it, costs are relative, and our perception of them is based on our priorities. The same person who scoffs at the cost of a home solar system may choose to spend that same amount of money to buy a fishing boat or a motorcycle or a sportscar, or may spend even more than that amount every year on what other people might consider to be frivolous. The cost of a home solar array, which has a pretty decent payback period and will last for decades, can be less than the difference between buying a new car vs. buying a used one, so it’s not as if it’s out of reach for a lot of people. Sure, the initial full cost of solar seems like a bigger chunk of money when compared to just paying your monthly electric bill, but with a wide range of available solar incentives, including solar leases and $0-down solar loans, solar is not as expensive as you probably think it is. And once that initial cost of solar installation is paid for, a home solar system effectively slashes home electricity costs for years and years afterward. Solar panels produce DC current, while our homes are wired for AC current, so an inverter is necessary to convert the DC to AC in order to be compatible with the grid. And this conversion process, while becoming more efficient over the years from innovations in technology, isn’t 100% efficient, so there are losses involved right from the get-go, which drives the overall energy efficiency of the system down. It’s also interesting to note that although our homes are wired for AC current, most of our smaller devices require DC, and convert the home’s AC current to DC to charge them, so there’s an additional conversion loss during that process. This disadvantage of solar energy really isn’t a function of solar panels themselves, but as with the gas engine efficiency comparison I made above, is more of a standards and infrastructure issue that affects a wide range of applications. To sum up this article, yes, there are disadvantages to solar energy. But in many cases these disadvantages are just perceived, not actual and objective, and with the rapid pace of solar technology advancements, some of these limitations of home solar will be lifted in the near future. When compared with just sticking with fossil fuels because they’re easy and available, yet highly volatile in both price and to the environment, going solar is a smart move.